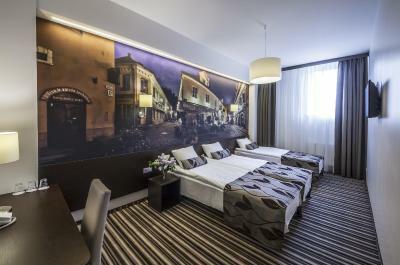 Lock in a great price for Vilnius City Hotel – rated 8.1 by recent guests! Location is good. Breakfast is very tasty. Staff is friendly. The staff were wonderful. Very helpful and friendly. 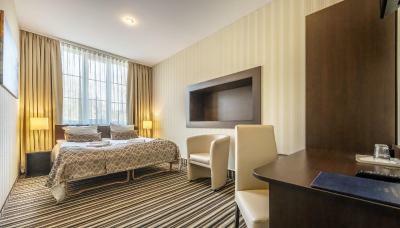 Nice, clean, comfortable and spacious rooms. Being located on the opposite side of the street we also no problems with any sounds whatsoever. Breakfast in the morning was well laid out and there were 4-5 freshly prepared warm items. 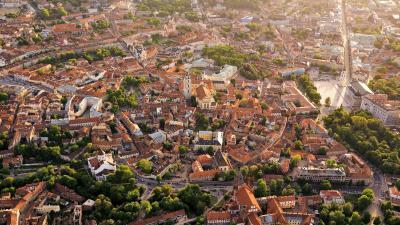 Definitely worth stopping over at again on our next trip to Vilnius. Restaurant staff was very good and friendly and also helped us in providing warm milk for my daughter and a kettle to warm the water for my dad's medicines. Thank you guys. 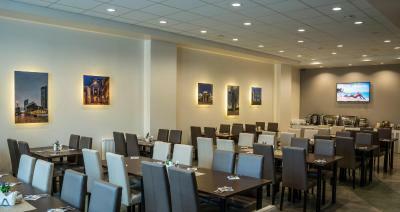 Good location, nice breakfast buffet, very friendly staff. Room looked like on the photos. I would recommend the place for a short stay on a budget. 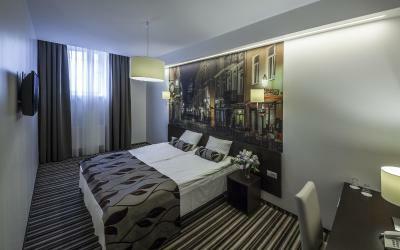 Comfort of bed and location very close to airport. 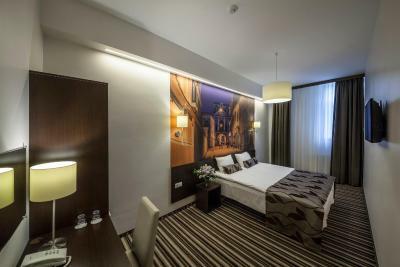 Vilnius City Hotel This rating is a reflection of how the property compares to the industry standard when it comes to price, facilities and services available. It's based on a self-evaluation by the property. Use this rating to help choose your stay! 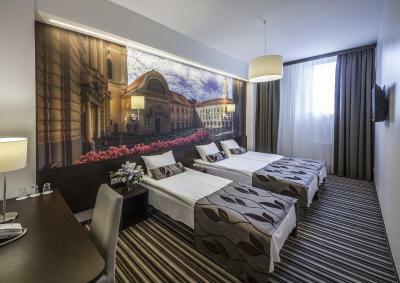 Vilnius City Hotel offers accommodations 15-minute walk from the Vilnius’ historic Old Town and a 20-minute walk from the Bus and Train Stations and 2.5 miles to the Vilnius Airport and IKEA, Senukai and Nordika supermarkets. 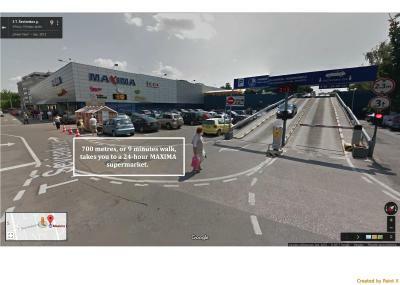 A 24-hour grocery store is located within a 9-minute walk. Free monitored on-site parking is provided. 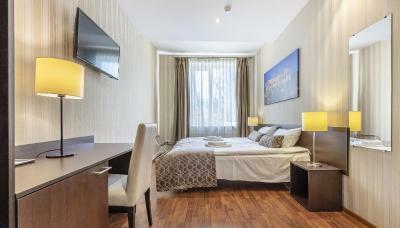 It offers rooms with an early check-in upon previous request, free fiber-optic WiFi internet and a flat-screen TV with international channels. 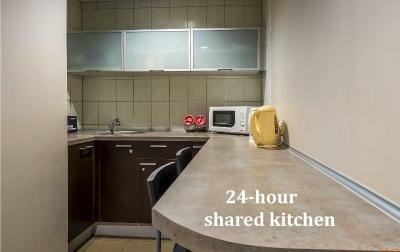 A shared kitchen with microwave and kettle is located on the first floor and is available throughout the day for guests free of charge. 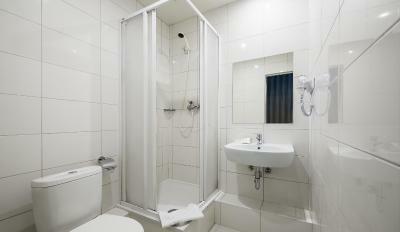 All hotel rooms come with a private bathroom with a hairdryer and either bath or shower, as well as free toiletries. Each has a work desk and some have a refrigerator (upon request). Front desk staff is available 24 hours a day and can arrange shuttle service and assist with luggage storage. Sightseeing tours and trips are available upon request. 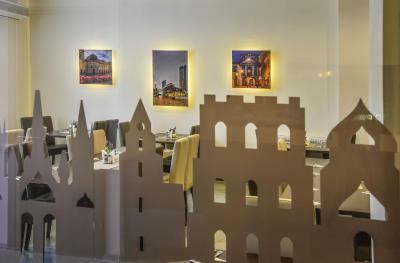 A buffet breakfast, daily lunches and dinners are served every morning in the on-site Vilnius City Cafe & Restaurant, which specializes in Lithuanian and European dishes. 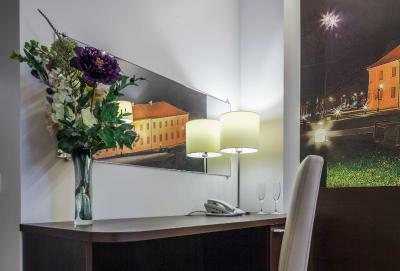 Vilnius City Hotel is located on the main street leading to the Vilnius Airport, IKEA, as well as Minsk, Belarus. Main public transport connection stops Sparta and Taraso Ševčenkos, as well as the Maxima and Rimi shopping centers are just a 5-minute walk away. A currency exchange counter is also nearby. 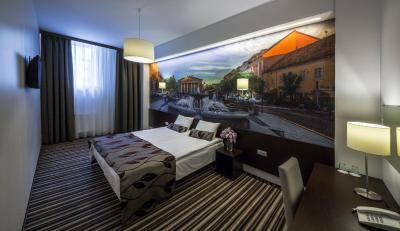 When would you like to stay at Vilnius City Hotel? 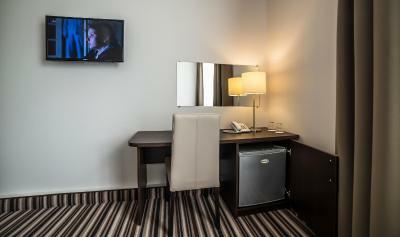 Decorated in warm colors, this room features a LED TV with satellite channels, fridge upon request and a private bathroom with toiletries. 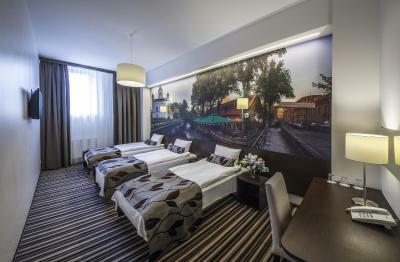 This room is equipped with flat-screen TV with satellite channels and decorated with a unique picture showing Vilnius. 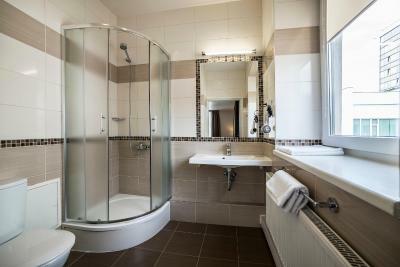 Bathroom comes with free toiletries and in some rooms there is a fridge too. 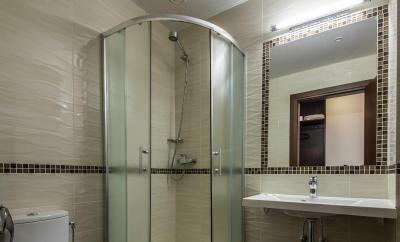 A spacious room features a LED TV with satellite channels, fridge and a private bathroom with toiletries. This small, cozy single room has satellite TV. 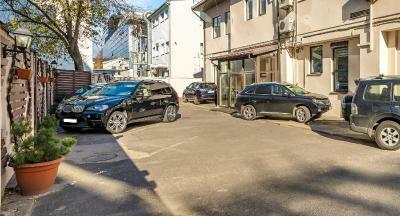 Our hotel strives to be the best price vs. value, centrally located hotel near the famous Old Town. And I think we do this great. We also love helping travellers on getting around the city. We will be glad to help You in any way we can. 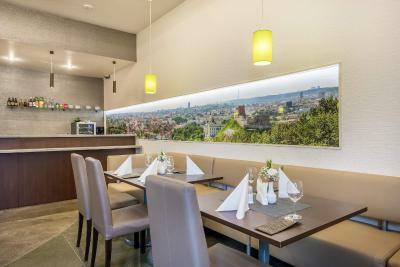 Hotel surroundings – This neighborhood is a great choice for travelers interested in local food, skyline views and cathedrals – Check location Good location – show map Guests loved walking around the neighborhood! 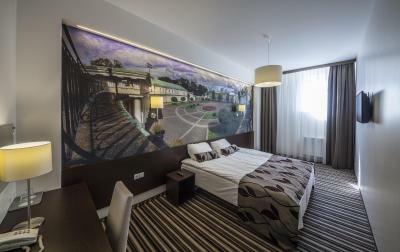 House Rules Vilnius City Hotel takes special requests – add in the next step! 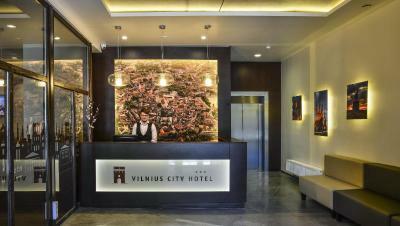 Vilnius City Hotel accepts these cards and reserves the right to temporarily hold an amount prior to arrival. Early check-in from 09:00 is possible upon request, and is free of charge. 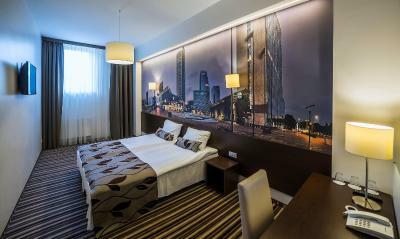 When using check-in offer, accommodations is provided for 24 hours maximum. There was no hand towel in the bathroom, we used the hair towel as hand towel, so not a big deal for me, but for some girls it could be. Water was smelly from the Bathroom tap , slight smell in reception. Beds where comfy , nice location to Airport. I cannot charge my phone with uk plug. The shower door was not safely fixed. Should be opened carefully. Slightly strange options for breakfast including pasta but plenty to choose from. No tea/coffee making facilities in the rooms but again plenty of choice to grab something outside. Not too far from the airport. Buses run directly to the city centre and Old Town. 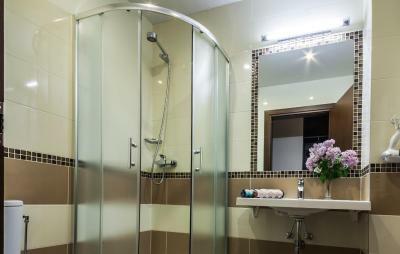 Shower, water taste, poor sound insulation. Room was dusting , shower was very dirty.